FOX Sports is FOX International Channels core sports property. The channel is the world’s leading sports television brand, both in terms of distribution and programming rights. 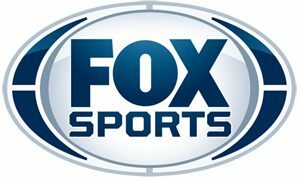 FOX Sports is known around the world as an innovator in the areas of live sports broadcasting, news and presentation and has quickly set a new standard of excellence in international markets through its bold production values, engaging commentary and presenters. FOX Sports carries some of the world’s most watched and most sought after sports franchises including the Barclays Premier League, Serie A, Bundesliga, the FA Cup, the League Cup, Coppa Italia, the UEFA League, Copa Sudamericana, the NFL, MLB, and premiere tennis, golf and racing events. The FOX Sports multiplex, which currently include FOX Sports 2, FOX Sports 3, FOX Sports International and FOX Sports Eredivisie, reaches 73 million homes in 88 countries and 8 languages outside of the U.S.